Musée Picasso in Antibes reopened in July after a two-year renovation and offers free entrance for a week in February 2016! Formerly Château Grimaldi, it was built upon the foundations of the ancient Greek town of Antipolis, then a Roman castrum, and the bishops residence during Middle Ages (442-1385). After becoming the town hall in 1702, and a military post in 1820, from 1925 the chateau was known as the Grimaldi Museum. 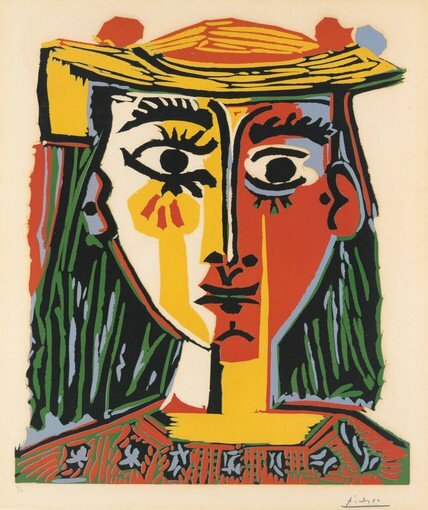 In 1946, the curator of the Château, Dor de la Souchère, invited Picasso and his companion, the painter Françoise Gilot to work. They stayed throughout the autumn of 1946, leaving 23 paintings behind, as a gift to the museum, and most notably Picasso's paintings La Joie de Vivre, Satyre, Faune et centaure au trident, Le Gobeur d'oursins, La Femme aux oursins, Nature morte à la chouette et aux trois oursins, La Chèvre. In 1947, a gallery dedicated to Picasso’s works opened, followed by, in 1948, a special exhibition. Later, in 1949, more galleries devoted to Picasso opened and, in 1951, museum curator Dor de la Souchère began the museum's modern art collection. The museum had rooms showing Picasso and modern artists' work along with rooms dedicated to the history of Antibes until 1966, when all galleries were redesigned to exhibit Picasso's work and the modern art collection. Today the collection totals 245 works by Picasso and the museum is known as the Picasso Museum, the first museum in the world to be dedicated to the artist.